WOW…even Kroger stores are joining the Cyber fun. 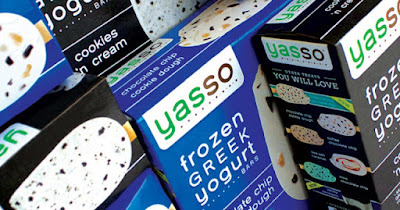 Today, November 27th only, Ralphs shoppers can sign into your account and load an eCoupon valid for a FREE 4-Count Box of Yasso Frozen Yogurt Bars – any variety (expires 12/11/17). It’s Freebie Friday time…and we’ve got another great freebie from Ralphs. Just login to your Ralphs card online to load this free coupon for Annie’s Macaroni & Cheese, 5.25-6oz. You must download this today, 4/21, but you’ll have until May 7th to use it. Here are this week’s deals at Dollar General. Remember you can print coupons for Dollar General and stack them with manufacturer’s coupons for more savings!